The 19th Annual Critics' Choice Awards presented its annual awards at the Barker Hangar in Santa Monica, Calif., yesterday evening on the same day that the Oscar nominations were announced. The star studded event was hosted by Aisha Tyler, of “Whose Line Is It Anyway?,” and co-host of Emmy-nominated show “The Talk. 'Gravity' lead the evening with seven awards and was followed by 'American Hustle', which won four, but it was 12 Years a Slave that walked away with the Best Picture award, after winning the Golden Globe and earning nine Oscar nominations. 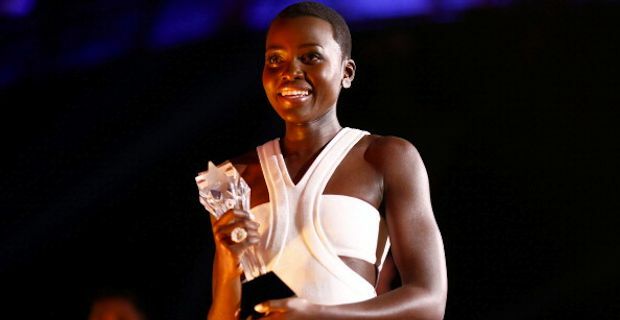 12 Years a Slave's Lupita Nyong'o also won best supporting actress and the film's screenwriter John Ridley won best adapted screenplay. "Gravity" took home awards that included best actress in an action movie (Sandra Bullock), best director for Alfonso Cuaron and best sci-fi /horror movie, best cinematography, best editing, best visual effects, and best score. "American Hustle's" four prizes included best comedy, best acting ensemble and best actress in a comedy for Amy Adams. Other winners included Matthew McConaughey who won the Best Actor award for "Dallas Buyers Club" and Cate Blanchett for Best Actress for Woody Allen’s "Blue Jasmine, while McConaughey's co-star Jared Leto won the best supporting actor prize. All three actors also received Oscar nominations. Leonardo DiCaprio received the comedy actor award for "The Wolf of Wall Street." Forest Whitaker was honored with the Joel Siegel Award.